Top 5 Image Editors in the App Store (Apps) - TACKtech Corp. Photos are a part of our everyday life thanks to the increasing integration and use of the smartphone for pretty much all activities. Our social media profiles are filled with photos and videos that we capture using our smartphones and tablets and it is only with the use of image editors that we spice these photos and make them more interesting and colorful. The amount of image software editors on the App Store is non-too shabby. There is a huge variety to be found, whether you are a simple pic-capturing enthusiast, occasional photo-snapper or a real time artist. The apps themselves also support a wide range of options in regards to their own price - most like Instagram are completely free while others like Vizzywig can cost up to $30! We aren't here to judge whether it is well worth your money to get the paid vs. free apps, we are here to show you the best picks you can get for your iOS powered device. It is no wonder really why Instagram has over 400 million daily users - the app that was bought by Facebook for nearly 2 billion dollars, is considered the image editor to use by the millennials and the ever growing, image-editing population. With it's very simple interface, excellent use of filters and a very very strong community that comments, likes and shares your content, you can correct and publish your images on the platform and share it on other social media services at lightning speed. Oh, it is also free to download. The grand king of photo-editing software Adobe, have really outdone themselves with this totally free app. If you are not familiar with Photoshop (???) and you really want to start using the best possible tools to get your photos fixed and aligned with your vision then this is the app to start with. Not only does this light version of Photoshop is best suited for your needs it is also the best app on the App Store for both beginners and professionals for editing your pics on the fly. Yes it is a bit more complicated than Instagram and does not have the appeal of the image sharing app, and it has fewer options and the professional appeal of Photoshop Touch, but come on - this is Photoshop and it is excellent. Oh and did we mention it is free? For a good example of a site that uses Photoshop exclusively, check out PureNetEnt.com. You will note how they have used custom images to highlight NetEnt casino bonuses and NetEnt free spins for mobile online casinos. 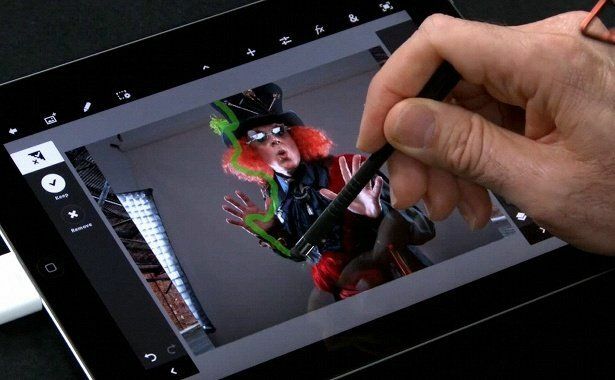 The paid version of the Photoshop experience that is best suited for your tablet is of course, the Photo Shop touch app. This is the ultimate version aimed at professional and enthusiast users of Adobe Photoshop on their iMac who want to be able to continue their work on their iPads. With a cost of $9.99 this app lets you edit and use all the nuances of Photoshop on the go. The only drawback is that you might lose yourself if you are an inexperienced user. Another great, simple yet totally free app for all of your daily photo snappers out there is Pixlr-o-matic (rolls right of the tongue doesn't it?) This app lets you do all manner of interesting adjustment to your photos including color correction, brightness and more, and when you add the simple yet intuitive design and color interface you get an app companion for your iPhone that is easy to use on a daily basis. Lastly we have iDarkroom which is an app specifically tailored for the use of the iPhone. With a price of only $0.99 you get a wide array of excellent and in depth features like color saturation, brightness, color temperature, contrast and more.